Georgian Entryway Painted in Wattyl Tennessee Dawn A65W. Via Oswald Homes. 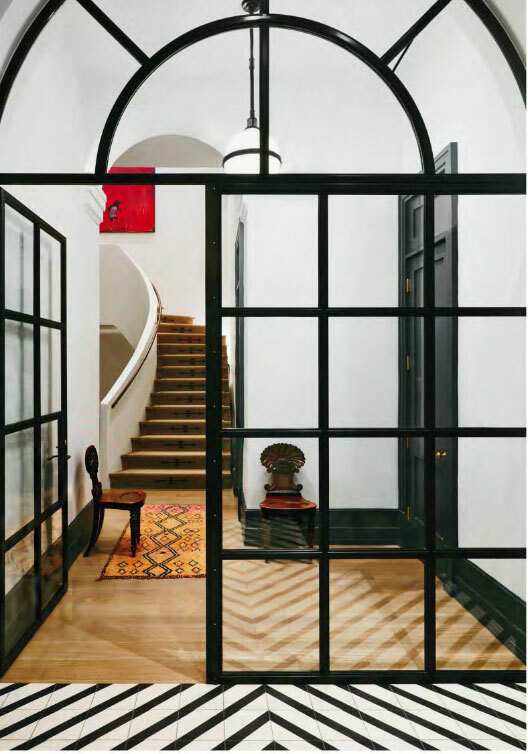 Georgian home with entry way painted in neutral paint color Tennessee Dawn by Wattyl. 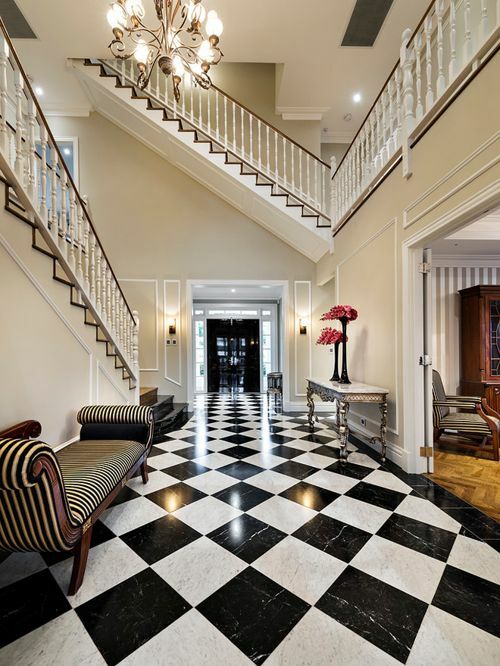 Black and white marble checkered floors and grand staircase. Monochrome by HGTV Sherwin-Williams. 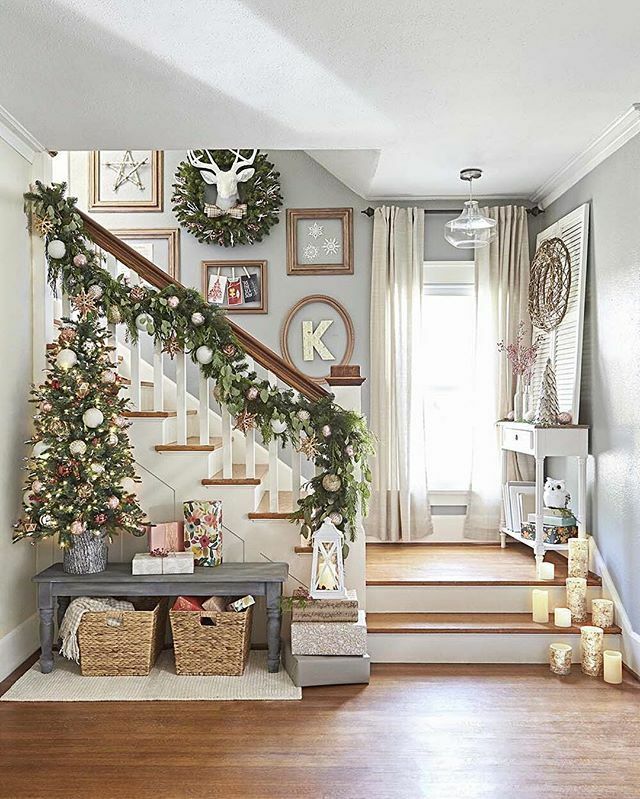 Great holiday decor on the stairs, this subtle gray color by Sherwin-Williams looks great combined with white trim and light woodgrain hues.